From a financial perspective, buying a used car as opposed to a brand new car is beneficial in a number of ways. Not only is the asking price lower, but you are in a position to avoid the massive depreciation in value that occurs during the first year of new car ownership. Of course, just because you are saving money by purchasing used does not mean you should agree to pay the sticker price. There are steps you can take to negotiate a better deal – so why not save even more money? There are many tools that can help you establish the market value for a used car – the most well-known is Kelley Blue Book. In addition to using professional tools, you can do your own research before meeting with the seller. For example, if you are planning to buy a 2009 Honda Accord, you may want to find as many as possible that are currently for sale in your region. Take notes on the asking price of each, as well as the mileage, condition, and included features. This can give you a leg to stand on as you begin to negotiate with a seller. Let’s face it: When you are buying a used car, you cannot expect it to be in perfect condition. However, you can still take note of imperfections and use them to your advantage to lower the price. Is there a ding on the door? How about a scrape on the bumper? Minor cosmetic issues will give you the upper hand in the negotiating process. The more of these you point out, the better chance you have of talking down the price. If you are really looking for a great deal, have the car inspected by a mechanic. Once you have their report in hand, you can have a better idea of whether or not the car is worth buying, and if there is anything else you can use to your advantage while negotiating. You may not be able to shave any money off the asking price, but this does not mean you should give up on trying to add value to the transaction. Why not ask for repairs to be made? Why not ask for an extended warranty to be added to the vehicle? When buying from a dealer, as opposed to a private seller, it is often simple to get these extras added to the deal. Buying a used car is going to save you money. Regardless of the sticker price, though, you should feel compelled to negotiate. You never know how much money you can save until you try. The seller expects you to haggle with him or her, so do what you can to bring the price down to a level that is fair for both parties. 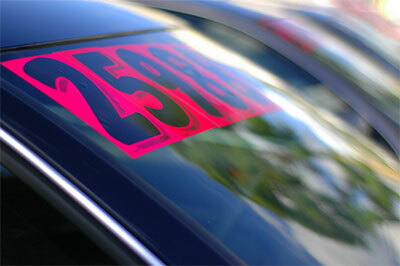 What other tips can you suggest to save money when buying a used car? Save Money Without Doing Anything. Seriously. Freebie Of The Day – Aquafresh Toothpaste. Yet Another Way To Throw Away Your Money. Very useful, will try out! These are great tips! It’s exactly what I did when I bought my 06′ Nissan Altima. The car had more miles on it than I would have liked, but I used that to deduct the price from a private seller. I got a great deal on a car that runs great. You gotta hustle! I never expected to save so much. Always buy from a private seller. Not just ANY private seller, but one that is desperate to sell. You might think it takes too much time to find said seller, but that is nonsense, use craigslist, email 10 sellers, just ask why they are selling, this takes 5 minutes. One of them is likely to be the proverbial desperate seller. I bought both of my last 2 cars this way, got fantastic cars for $5500 (same exact price for both cars). I already drove the first car 170,000 miles with NO major repairs since I purchased it. The second one I just bought last week and is likely to last as long. Pick a car with a proven record of reliability. No one pays kelly blue book prices, if you are, you are paying too much. Never make any rush while buying a used car. If you give time before making the final deal, then you will definitely be able to make the best deal. Always stay confident, when it comes to the payment. Never agree upon the amount that goes beyond your estimate i.e an amount that you can’t afford easily. Perhaps to add to your excellent tips: Be ready to walk away…don’t appear too desperate to buy the car immediately…give the seller sometime to simmer and soften, you might actually get a better deal. And as someone said above…stick to a budget and buy a car you can actually afford! Adding value to the transaction can sometimes be even better than getting a cash discount.